I learned how to do Muscle Response Testing (i.e. 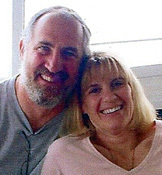 Applied Kinesiology) in 1997, and at that time I wrote a book titled Health Mastery Through MRT. The book provides a biblical and scientific basis for MRT and teaches the reader how to do MRT. MRT is amazing because it allows your body the opportunity to communicate back to you what its needs are and how to best solve them. And it does this free for the one who learns how to do Muscle Testing, which is something I want to teach you in this blog. If you have heard Muscle Testing is New Age, then read this blog to help set your mind at ease. When your body hears truth it is strengthened and when it hears a lie it is weakened. This obviously lines up with biblical principles such as truth leads to life and lies lead to death. MRT accesses the wisdom of your subconscious mind (God's word for "subconscious mind" is "heart"). Your subconscious monitors and maintains all operations within your body and it can easily hear spoken words and it will respond to them. Actually, it also responds to thoughts, which is why both tester and testee should maintain a neutral thought pattern so as not to mess up the MRT responses. The physiological responses of your body to truth and lies can be measured using a lie detector or you can measure the responses using MRT. The nice thing is, MRT is free, requires no instruments, can be easily learned by anyone, and will reveal to you exactly what your body needs in order to live in maximum health. Now, how priceless is that! When starting MRT we suggest you begin with a practice question. Speak the following simple truth: “My name is (insert your name).” That should result in your muscles testing strong. Then you state, “My name is (use someone else’s name)," and you will discover that the muscle being tested is weaker. If your muscle is stronger when you say your name is (someone else's name) then your polarity is reversed, and you will need to fix that before continuing. Our MRT book describes simple ways of restoring your polarity so it is flowing in the right direction. One key reason polarity is reversed is because of lack of salt in your body. You can see if this is the reason by drinking a glass of water with 1/8 teaspoon of Himalayan salt in it. Then see if your polarity is back to normal. Check out this article: Pink Himalayan Salt Benefits that Make It Superior to Table Salt. With MRT you are testing for a strong muscle versus a weak muscle. Any muscle will work when doing MRT. I have had a love/hate relationship with MRT over the years. Since MRT is measuring subtle energies, it is somewhat subjective and takes a fair amount of sensitivity to do MRT properly. Being as left-brain as I am, I like things to be more concrete, so the “Compass” is a tool I have purchased and is a bit more to my liking. However it costs $399 plus $39.95 a month. It is a device which provides a computerized measurement of the energies being emitted by your hand, as you lay your hand on its electronic palm reader for 4-5 minutes. I have used both the Compass and MRT. MRT can answer questions that the Compass can’t, so let me introduce you to the easiest method I have discovered for doing MRT. Because if we can make MRT easy, then it is by far the preferred method of your body communicating its needs to you. Since MRT does not work well with a dehydrated body, I suggest you begin by making sure you are not at all thirsty. It would be best to drink a glass of water to ensure your body is going to be easily testable. Begin by testing your polarity, which we describe in our book Health Mastery Through MRT. Now clasp your hands behind your back at the base of your spine, with fingers interlocked and palms facing upward. Have a friend stand behind you and put their fists into your palms and push down, steadily until you begin falling backward, at which point they let up. Now state, “My name is (insert your real name)." 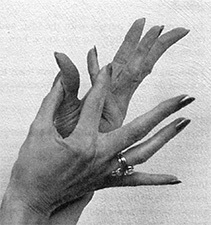 Have them push down steadily with their fists into your upward clasped palms, and you should notice that it takes more pressure before you begin tipping backward. For the second test, state, “My name is (insert a false name)." Have them push down steadily with their fist into your upward clasped palms, and you should note you tip backward much more easily (i.e. a lie weakens you). Practice the above several times until you can clearly discern strength versus weakness. Now you are ready to ask "Yes" or "No" questions, or to "make statements" which your body can register yes or no to by signaling strength or weakness. Stick any bottle of pills in your pockets (or have them touch your body anywhere) and state any of the following: "These will help solve my (whatever condition you are facing)." "These will totally solve (name of condition)." You can also simply touch bottles of pills, containers of food, drinks, etc. against your body and if the item will strengthen your body, you will test strong and if it is not good for your body, you will test weak. Another option is that you can touch the food before you begin MRT and then your MRT question would be, "This food/product I just touched is good for my body." If that statement is a lie, you will test weak. If you test weak for a food which you know should be good for you (like a vegetable or fruit), then add a bottle of digestive enzymes with the food and see if the two together are good for you. You probably will test strong when touching the two together. To find the best enzymes to make your digestion complete, go to a good natural health food store (we like Vitamin World which is owned by NBTY), and muscle test through the various digestive aids and digestive enzymes they have, seeing which one(s) will provide complete digestion for you. Purchase those and take them home and couple them together with any food you are testing to see first of all, does your body want the food, and then if a digestive aid will help you digest the food better so you receive more nutrition from it. Again, if you are stronger when touching both the food and the digestive aid, then your body is saying it wants them both together. We test very strong for “Total Digestion” from The Gabriel Store. Through Muscle Testing, our bodies have also told us that we need a good probiotic to improve the health of our colons and thus our overall digestive health. You will discover through Muscle Testing that there is a difference between synthetic and food based vitamins. Your body knows what it wants and what will strengthen it. Some pills will absolutely weaken you when you touch them (as will some medicines). Studies have confirmed that synthetic pills can actually shorten lifespan, so always go for "food based" vitamins. You will discover food based vitamins are the ones that test strongest. So now, you don't have to guess if a vitamin or pill will help you. Your body will tell you the answer before the vitamin ever crosses your lips. Nor will you have to worry about whether or not the label truly lists what is in the vitamin, or if the company is deceiving you. Your body will tell you if it wants or needs the product through Muscle Testing. Other typical questions you can ask when doing MRT: This “nausea” (or whatever the ailment is) is being caused by a virus. This "nausea" is being caused by something else. This “nausea” is being caused by bacteria. This “nausea” is being caused by unresolved emotional trauma. This “nausea” is being caused by poor nutrition (you can repeat all the above questions and insert the words: partially caused by…). You can make the following statements: One capsule a day is enough. Two. Three. Four. Five. Six. When you hit the right number you will be strongest, and the numbers before and after it will be weaker. To heal a damaged ligament, I did MRT with each of the following statements: "Glucosamine will help heal this ligament; Nikken Magnets will help heal this ligament; The two together will be best." I received a strong muscle for all three of these statements and the strongest test response was to the statement that I should use them both together, which is what I went ahead and did. Next statements were: "Wearing the Nikken Magnets one week is enough, two weeks, three weeks." Weakening began at three weeks, so I planned on wearing them for two weeks. When purchasing the glucosamine at the store, I touched two large bottles (since they were selling a second bottle for 1/2 off) and then stated, "These two bottles are the amount I need." Then, "These two are more than I need." Finally, "These two are less than I need." I tested strongest to the statement, "More than I need." Next I repeated the questions with two medium size bottles and tested strongest to the statement, "This is the amount I need." Make sure the intention of your heart is the same as the question you are asking with your mouth: I stated, “I have allergies” and received a “no.” However what I was thinking/picturing in my heart was, “I have allergies to food” and true, the answer was “no.” An hour later I realized I should be more precise, so I stated, “I have allergies to food” and got a “no” but when I stated I have allergies to pollen in the air, I received a “yes” back. So the important principle here is that MRT gives you answers from your heart (i.e. subconscious), and the language of your heart includes belief/faith, pictures/visions, emotions and flow. So if I am picturing and believing one thing, but saying something different with my lips, the answer coming back through MRT will be from what I am picturing and believing, rather than from what I am saying. Out of our hearts “flow the issues of life” (Prov. 4:23 NKJV). I want my heart and my lips to line up which is what makes my speech persuasive (Prov. 16:23). Discord between my heart and my lips bring discord to my life. Whenever my heart is in conflict with my lips, my heart wins the battle. Another Way to Discover What Questions to Ask: Let’s say, for example, you are struggling with urinary urgency or incontinence. So assuming this is a bladder condition, you would go to the highly informational and well-respected Life Extension website, and in their Search Box type in “bladder.” The search results bring up many items which can be explored. The first is a product which is made from Pumpkin Seed. So you would take a trip to your local Vitamin Shoppe or health food store and ask the clerk if they have a product with Pumpkin Seed in it. Once they point it out, you can grab a bottle for a moment and then have a friend or spouse muscle test you, using the statement "The product I just touched is good for my body." If you test strong, you purchase it and use the bottle and see if it partially or completely removes your symptoms. 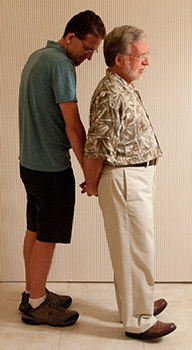 You can stand on one foot, and extend the opposite arm straight out parallel to the floor (i.e. extend the arm on the same side of your body as your bent leg). "Lock" your arm muscle while you have someone steadily push down on your wrist until you begin tipping over. Then do all the same tests as described above. The benefit of doing MRT this way is you can hold or touch objects easily with one hand, while using the other arm for Muscle Testing. I will share one more MRT approach which can be done on yourself. I find it more difficult to do, but with some practice and sensitivity, one could master it. Touch the thumb and little finger of your left hand together. 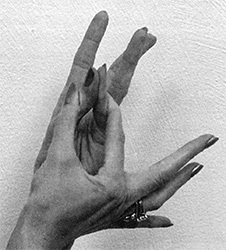 Grasp this with the thumb and index finger of your right hand so that pressure is applied, holding your thumb and little finger together. Try to separate your thumb and little finger of your left hand by exerting pressure against the fingers in your right hand. Practice sensing strong versus weak response with the practice statements, “My name is (insert your real name)" followed by, “My name is (insert a false name)." Some Concluding Notes: You can ask just about anything about your body’s health and your body will answer. This is not a strength wrestling contest. Don’t yank or push abruptly on a person’s muscle. You will hurt them and you will not get an accurate reading. Remember you are testing subtle energies. Slow steadily increasing pressure is the goal. Stop when a person begins to tip. Your intention/faith determines what you are testing. If you are holding a bottle of pills and your intention is to be testing the energy of the pills and not the energy of the bottle, your subconscious understands that and tests the energy in the pills and not the plastic of the bottle. Your body is dynamic and therefore its needs are constantly changing so re-checking every 3 to 6 weeks is strongly advised. Finally, I had determined the root cause of the rash. So I went to a good health food store and muscle tested through all their digestion items. I found four I tested strong to. So to see if I really needed all four, I put all four in my pockets and muscle tested this statement, “I need all of these.” Answer was a resounding “yes.” (They were Total Digestion, Probiotic10, HCI Digestive Enzyme and Gas and Bloating). Final statement: "If I take all four of these it will resolve the rash." Answer a strong “yes.” So I took all four and a rash which I had had for many months began clearing up immediately and within 3 weeks was gone! Obviously I should have resorted to MRT many months earlier when the rash first began. As I write this, I realize there is another MRT question I need to ask. It is, "Why did my digestion get so out of kilter?" My guess was it was the result of stress (I am "Type A" personality). We did have some Stress-less Tea at our home, which I had never tried. So I stuck it in my pocket and Patti tested me with the following statements: "This Stress-less Tea will remove the root cause of my digestive problems." Answer: "Yes." Additional questions told me that it would take 3 droppers full a day (i.e. three cups of the tea), for 3 weeks to remedy the situation, so that is what I am now doing. My stress levels test high because my cortisol is out of balance. My stress levels test high because my lithium is out of balance. My stress levels test high because of old, unresolved emotions. My stress levels test high because my fun-to-work ratio is not in balance. My cortisol levels are too high. My cortisol levels are too low. My cortisol cycle is out of balance. I received a "yes" to this statement. That reminded me of a cortisol test I had taken a year earlier (figure 1) which confirmed that the above three "yeses" were all accurate. 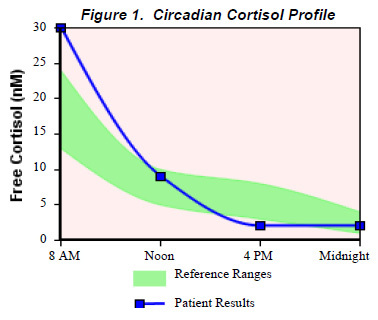 The chart to the right shows that my cortisol levels were above normal range at 8:00 in the morning and below normal range at 4:00 in the afternoon. Final statement was: This Stress-less Tea (which I had stuck in my pocket) will bring my cortisol levels back into balance. I got a resounding “yes” to this, and as you remember from above, I had already been told by my body that three cups a day for three weeks would do it. How else could I have ever discovered the cause of this rash and resolved it so efficiently and inexpensively? Now you know why I love Muscle Testing, and why I want to bless you with it. The information MRT gives you can dramatically improve the quality of your life. Does Muscle Response Testing Really Work? My wife and I were introduced to this over 20 years ago. It had been recommended that we go to a health store in Colorado and seek help from a horologist. When we told the lady what was going on, she had Doni hold a bottle of herbs. She then had her hold out her other hand and put her thumb and index finger together, as tightly as she could. She tried to pull them apart. The lady continued this process until she literally could no longer separate Doni’s fingers. She then told us “that is the combination you need.” I was more than just a little skeptical, but the treatment did work. Over the years, we have found that this technique does in fact produce a very accurate diagnosis. We have used this technique with regard to which vitamins we really need, and even if medications which have been prescribed are necessary. Doni actually had me take this test on my favorite breakfast- Bacon! I won’t say what the results were. The question is, is this biblical? I can find nothing in scripture which says it is not. The Book of Deuteronomy 18:10 defines witchcraft. This technique does not fit any of these definitions. It is not witchcraft. There are no spells or incantations, omens or divination or sorcery involved. My suggestion is simply, try it! There is nothing to lose, and like myself, you might be surprised at the results. Dr. Joel N Trenkle D.Min. Health Mastery Through MRT provides the basics of muscle testing, including a biblical and scientific basis, and 39 points of your body you can touch to test every major organ, plus more. Submitted by Anonymous on February 9, 2019 - 05:09. Submitted by Mark Virkler on February 9, 2019 - 07:41. Sorry, I have no insight on the answer to this question. Submitted by Anonymous on October 14, 2018 - 08:35. I went to a naturopathic dr who used muscle testing to determine dosages for supplements I am to begin taking. She also showed me a pendulum method using any object like a nut or a bolt tied to a string that responds to my body’s energy as compared to another object. She did a test first to determine what a yes response was and what a no response was. She demonstrated with several objects and I could see a different response for apples which apparently have good response with my body and rice which does not. Is this considered witchcraft? My intuition is telling me that it’s not, that it’s part of the wonder of Gods creation that we don’t understand how the holy spiritual is manifested in us. But when I google and see what others say, it really scares me. I appreciate your thoughts. Submitted by Mark Virkler on October 14, 2018 - 10:19. Submitted by Giulia on June 14, 2017 - 03:02. Submitted by Mark Virkler on June 14, 2017 - 08:24. MRT should work for mental health issues, although I use the 7 prayers the heal the heart, and teach them how to hear God's voice, and Counseled by God to deal with mental health issues. And nutrition, exercise and hormonal balance are also necessary. Submitted by Anonymous on May 29, 2017 - 14:59. Submitted by Anonymous on September 13, 2016 - 16:01. I am so very, very glad I found your site!!! Love this article (I'm a Sho-tai student) and I am looking forward to reading the many articles on your site! Submitted by Anonymous on May 26, 2015 - 14:09. I have recently been introduced to muscle testing in the way and for the type or reasons you describe above. It has been so helpful for my health. I have also been introduced to being able to test someone else's body, such as my children. But, this is without touching them or even needing them in the same room, just bringing them into my thoughts and then using my body to test them. This seems to work just as well. Testing myself seems to make sense to me, but how is this possible that I am testing my children in this way?! Submitted by Mark Virkler on May 27, 2015 - 20:36. Our hearts communicate a lot. Jesus communicates to our hearts. our hearts communicate to our minds, and to other people's hearts. Heart/spirit communication reaches out through space. Time and distance are not an issue in the spirit world or in quantum physics. We are members one of another the Bible says. I believe in spirit communication and suspect that contributes in this situation. I do agree. It is absolutely amazing. And just keeps getting more so, if you can walk forward without fear.